Feel like you need to eat vegetables for the rest of your life to recover from Thanksgiving? Here's a delicious recipe from Cooking Light that will have you drooling for veggies. It takes about 25 minutes and can be a side dish or a main served over a grain. I've been combining 1-2 different veggie dishes a night for SUPER healthy meals. 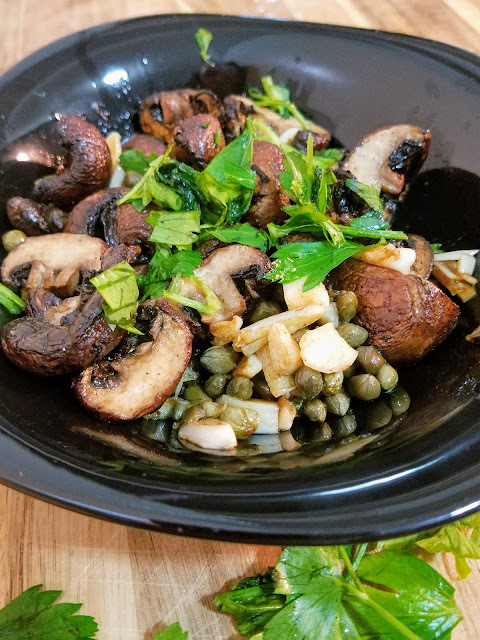 And you won't feel deprived at all- in fact you may feel like these mushrooms are so good that they can't possibly be good for you. See for yourself. 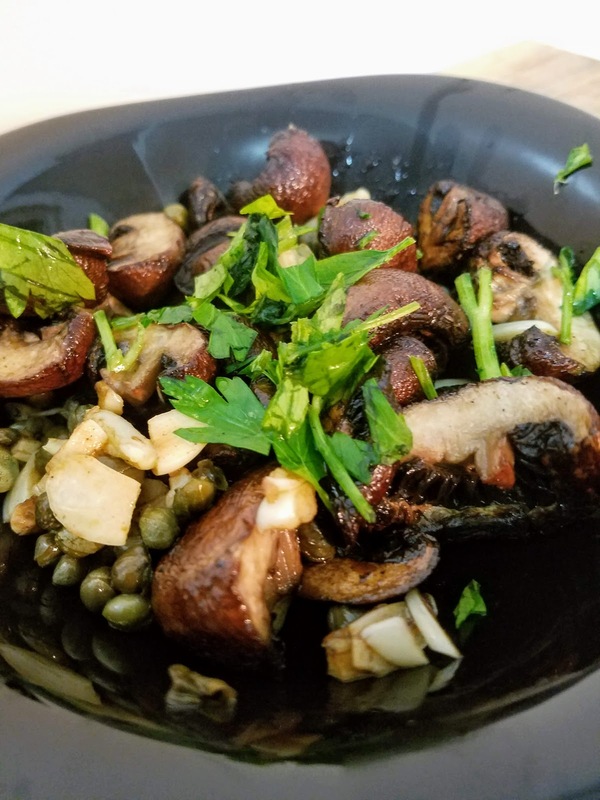 Use baby bella or cremini mushrooms for the most flavor, and try lite Earth Balance butter for an even lighter version of this dish. Preheat oven to 400 degrees. 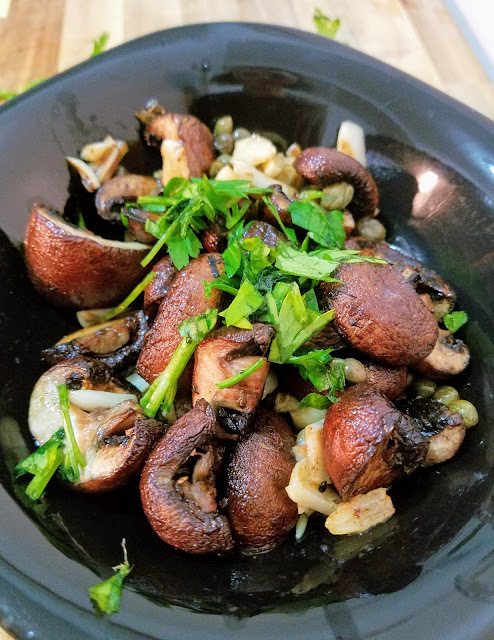 Place mushrooms on a baking sheet, sprinkled with salt and pepper. Bake for 15-20 or until tender and lightly browned. In a small saucepan, combine capers, butter, and garlic and heat over medium low heat until the butter is melted. 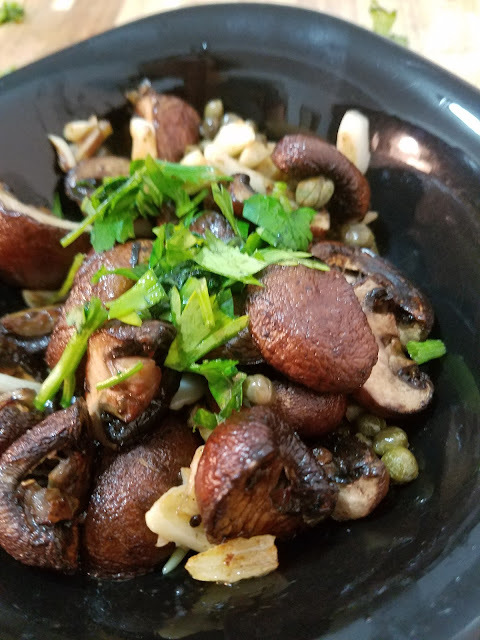 Drizzle butter mixture over mushrooms and toss. Bake for another 2 minutes. 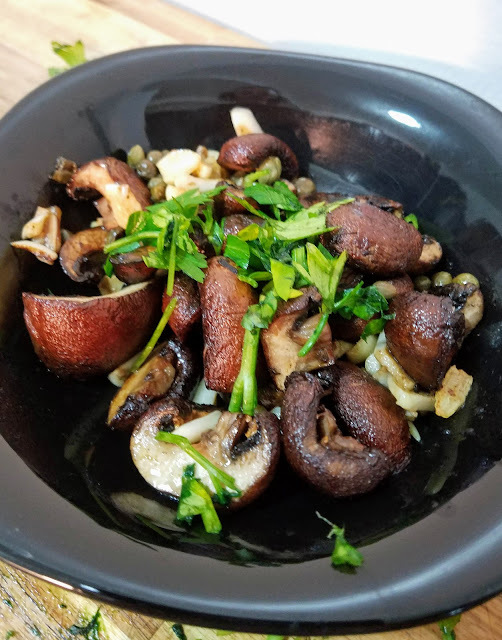 Drizzle lemon juice and sprinkle parsley over mushrooms. Serve warm.